The 43rd annual Stuart Boat Show returns to the Treasure Coast Friday, January 13 to celebrate the boating lifestyle with a three-day event along the waterfront. 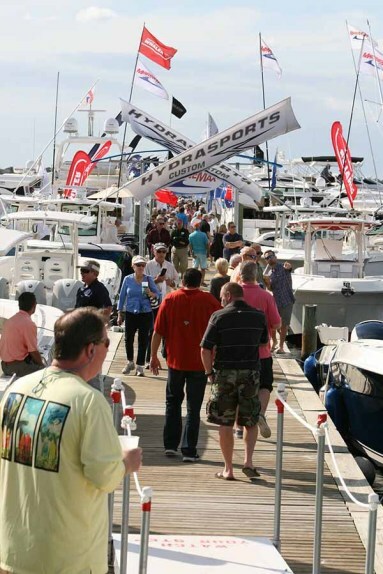 Situated along three marinas and spanning a quarter of a mile on land, the Stuart Boat Show is the largest boat show on Florida’s Treasure Coast, will feature over 200 local, national and international exhibitors displaying hundreds of boats in-water and on land. Boats on display will include the latest models of motor yachts, cruisers, center consoles, speedboats, sport fishing boats, and pontoons ranging in size from 12 feet to over 80 feet in length. Additional exhibits will include the latest in personal watercraft, marine electronics, outboard and inboard engines, safety equipment, accessories, boat lifts, fishing gear, nautical clothing and jewelry, as well as financing and insurance companies. Combined with live music, festive island food and drinks the Stuart Boat Show is a great place for… Click here to continue reading the original post.